I don’t think that there’s a kayaker out there who hasn’t heard the name Kokatat at some point. Their products are undoubtedly top of the line, their customer service spectacular, and for me, they are a local business. 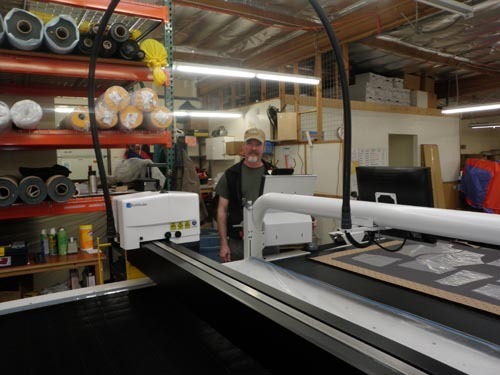 Kokatat is known worldwide amongst kayakers, but it has also won numerous awards locally, such as the 2010 Green Business of The Year award from the Arcata Chamber of Commerce. About five driving hours north of San Francisco is Humboldt County, a county well-known for its redwood forest and spectacular beaches… among other things. In Humboldt County there is a small college town called Arcata, which is home for both myself and Kokatat. I have been a Kokatat Ambassador since 2008 and I know the staff there well, but I’d never had a formal tour, and I was curious. Matt Porter, Marketing Event/Product Manager, showed me around. 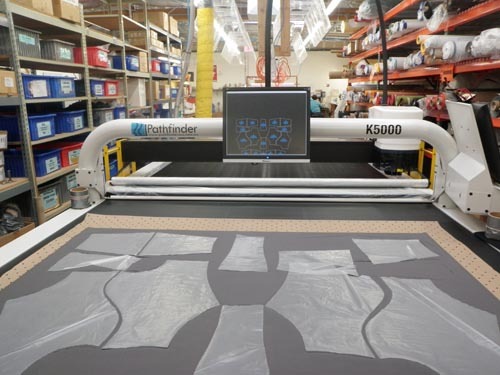 We began at the cutting table, where fabric is cut for each specific product using a high tech machine and a computer. John Jacques, Cutter, at the cutting table. A Kokatat Tropos Blast Short Sleeve Jacket is cut and ready for assembly. Fabric is then taken to the Findings department, where all of the “pieces” are added. 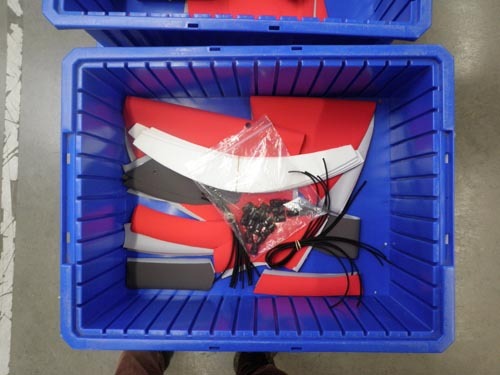 A bucket of parts for a Paclite Anorak. 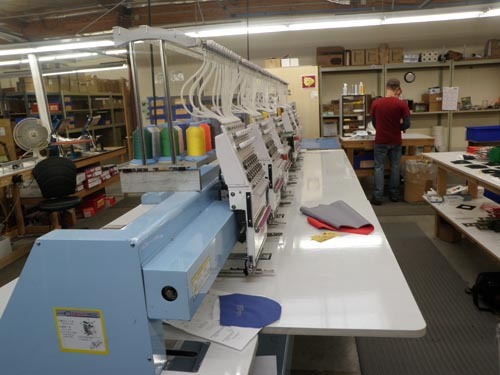 Products are then moved to the Embroidery Machine. Everyone was hard at work. I was surprised by the size of Kokatat and the large number of employees. Kokatat is a busy place. 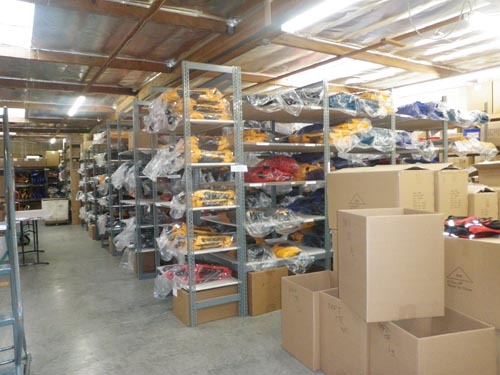 Finished products are then taken to be water tested, inspected and eventually to Shipping. 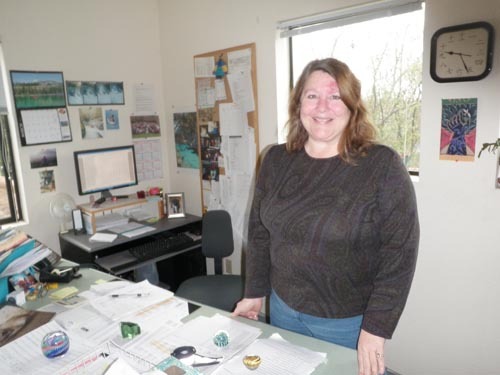 Kokatat has a wonderful staff, many of whom have worked there for a decade or more. Marta Miller, Marketing Communications Manager. 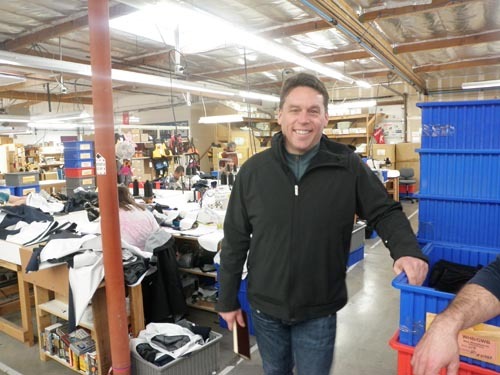 Thank you Kokatat for everything that you’ve done for the paddlesports industry! 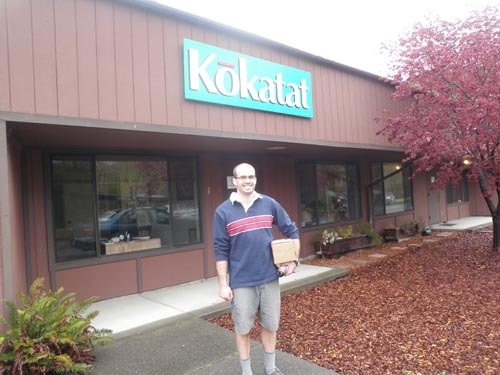 Click HERE to view a video about the past 40 years at Kokatat.